Are you aware of the basics of tree trimming? Brush up on them today. When you want a beautiful home with a well-maintained look, tree trimming is a necessary part of your maintenance. Not only do some trees and shrubs need to be trimmed to be successful, but it also helps prevent disease, overgrowth, and keeps them looking their best. As trees get older, they may need to have limbs removed to ensure the safety of both the tree and your home. Removing dead branches, for instance, helps ensure that whatever killed the branch doesn’t affect the rest of the tree. That said, before you grab your saw, there are a few things to consider. The three biggest reasons to keep trees and shrubs trimmed and cared for is that it improves safety, health, and aesthetics. As trees and shrubs grow, they can become a little too wild. If they make their way above a home or in the vicinity of a powerline they can begin to be a threat. Pruning helps trees redirect their energy flow to strengthening their centers, not only does this help ensure that new growth is healthier and stronger, but it ensures that the center of the tree is stronger. Lastly, trimming can improve the production of flowers and fruit and ensure that physical appearances are better. How Often Should You Trim Trees? Depending on the tree you will want to adjust your pruning cycle accordingly. Some will need to be trimmed at least once a year during the dormant stages in late fall through early spring. Others may need to be pruned on a case by case basis as limbs become dangerous or grow into compromising locations. How Do You Trim Safely? Depending on the tree or shrub being trimmed, you may need to give trimming the branch yourself a second thought. For branches smaller than two inches around that are out of range of power lines, most homeowners can proceed with care. If the branch ranges from two to four inches in diameter, give the procedure serious consideration. If the branches in question are over four inches in diameter, it’s best to call a professional. If you still have unanswered questions when it comes to common tree diseases, the trained professionals at Harford Tree are here to help. 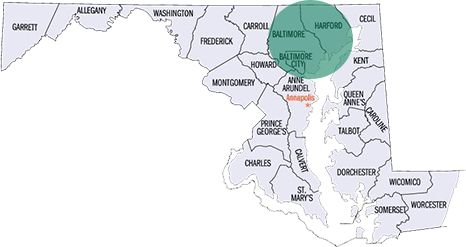 We have been in business for years now, and we regularly provide our customers with great work and quality customer service in Harford County, Baltimore, City, Baltimore County, Bel Air, Fallston, Perry Hall, Towson, Essex, Parkville, White marsh, and middle River. For service during business hours, reach out to us or give us a call at 410-592-7321. We offer 24/7 emergency service as well, just give us a call at 443-250-6649. For updates about our business, more informative tips, and to see what we have been working on, follow us on Facebook and Twitter. This entry was posted on Friday, April 12th, 2019 at 1:58 pm. Both comments and pings are currently closed.